A medical laboratory technologist (MLT) is a regulated health professional who has completed an educational program in laboratory sciences, has passed a national certification exam, and is a member of the College of Medical Laboratory Technologists of Ontario (CMLTO). cytology (studying cells to detect cancer, for example, analyzing pap smears). Is the College of Medical Laboratory Technologists of Ontario (CMLTO) a school? No, the CMLTO is the regulatory body for medical laboratory technologists practising in Ontario. Qualified individuals must be registered with the CMLTO to work as MLTs in Ontario. MLTs are accountable to the CMLTO for their professional actions. Does the CMLTO regulate labs in Ontario? No, the CMLTO only regulates MLTs. The CMLTO works together with the Ministry of Health and Long-Term Care (MOHLTC) and the Institute for Quality Management in Healthcare (IQMH) to develop and monitor best practice standards. The Laboratory Licensing and Inspection Service team ensures that laboratories and specimen collection centres meet certain quality standards. Does a person have to be an MLT to take blood samples? No, provided the blood is being taken at a licensed lab or in a hospital, the person taking your blood can be an MLT or, as often occurs, a medical laboratory assistant or medical laboratory technician. There are also other health professionals authorized to take blood, like nurses and doctors. What's the difference between an MLT and a medical laboratory assistant or a medical laboratory technician? A medical laboratory technologist (MLT) is a regulated health professional in Ontario, as defined by the Medical Laboratory Technology Act, 1991. Medical laboratory assistants and medical laboratory technicians are not regulated in Ontario. The role of a medical laboratory assistant or medical laboratory technician is partially defined by the Ontario Ministry of Health and Long-Term Care, through the Laboratory and Specimen Collection Centre Licensing Act, 1990. According to the Ministry of Health and Long-Term Care, the role of the medical laboratory technologist (MLT) and a medical laboratory assistant or medical laboratory technician vary in the application of knowledge, skill and judgment. The CMLTO Council has identified the regulation of medical laboratory assistants and medical laboratory technicians as one of its four strategic priorities, based in large part on member feedback. The CMLTO believes that increased access to a broader range of regulated health professionals in the clinical laboratory is in the public’s best interest. Visit the Regulation of Medical Laboratory Assistants and Medical Laboratory Technicians website for further information. Can I order tests for myself? No, a lab may only conduct tests that are ordered by an authorized health professional. Will I get a copy of my lab results? The lab sends your results to the authorized health professional who ordered your test. You may request copies of your lab reports and other health records from your health professional or the patient records department of any hospital you attended. I need to get my blood taken. How do I find a lab or specimen collection centre? Your authorized health professional will give you a requisition, which you will take to the lab or specimen collection centre. View further information and options at Find a Lab. The collection centres are often operated by community (private) labs. How do I make a complaint about an MLT? 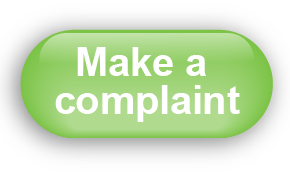 Visit File a Complaint for further information.